This 15-day self-drive will start in central Namibia driving over the Spreutshoogte pass to the breath-taking landscapes of the Namib Desert and Sossusvlei. 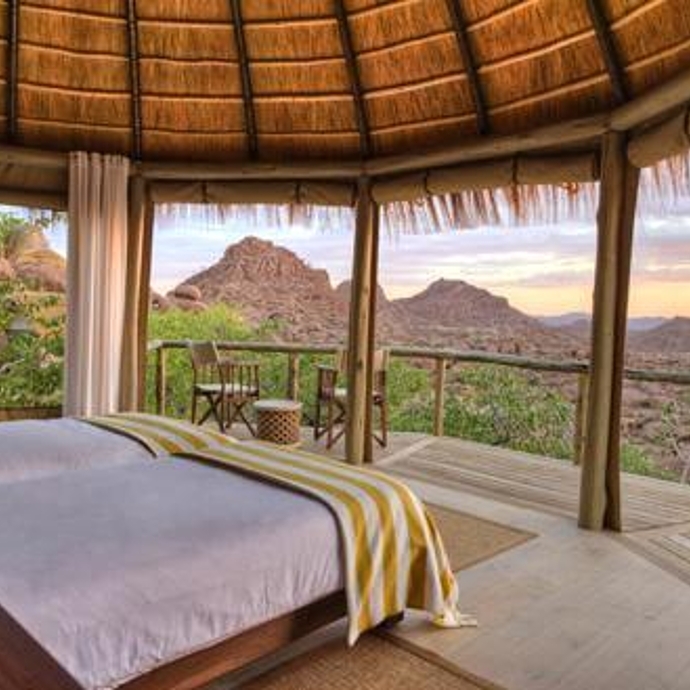 Spend 3 nights in the adventure capital of Namibia and go searching for Namibia's famous desert-adapted elephants in Damaraland. The last few days will be a true African safari in the world renowned Etosha National Park which is home to more than 110 species of mammals and reptiles. Walk with cheetahs at the African foundation at Okonjima and go search for the elusive African leopard. Arrive at Hosea Kutako International Airport just outside of Windhoek. After collecting your car, take the short drive to Naankuse which is located just a thirty-minute drive from the airport. 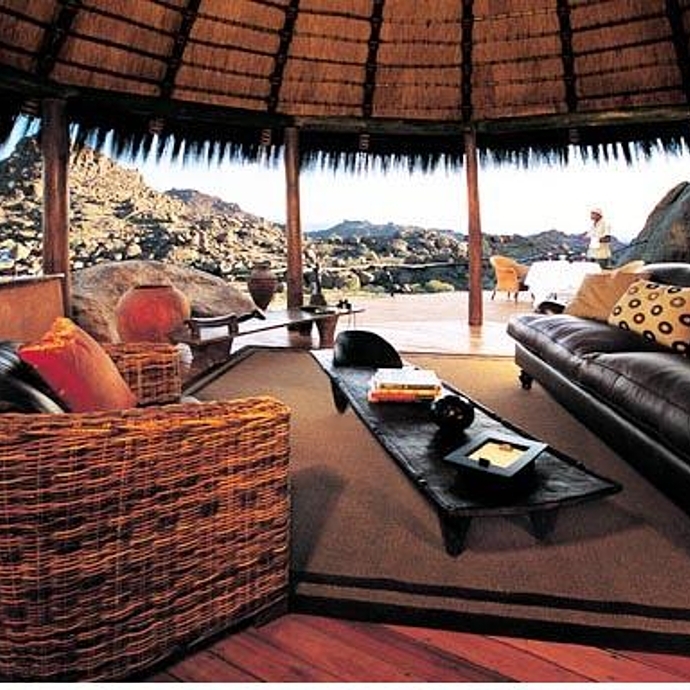 Nestled in the stunning African veld, Naankuse Lodge is perfect to start your trip in Namibia. 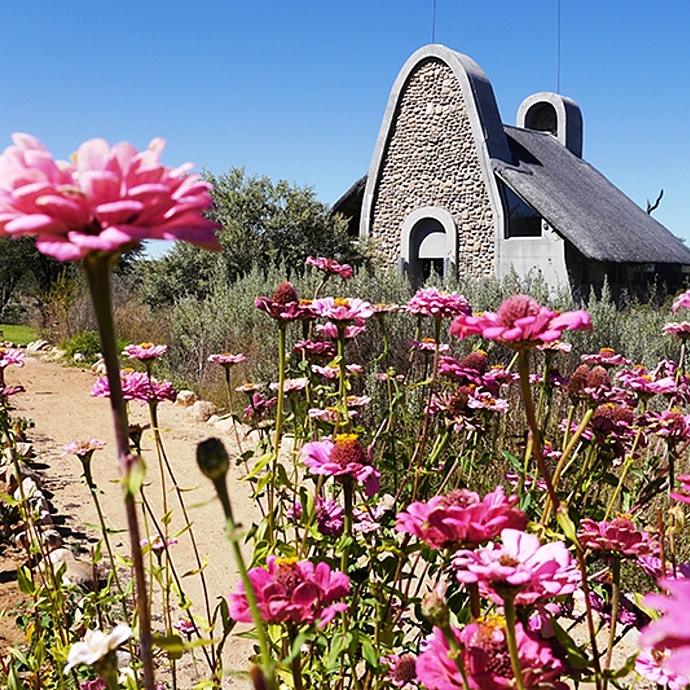 The lodge, situated on a 10,000-hectare nature reserve, is part of a non-profit charitable organisation and all profits go back into the projects they run. The Naankuse Wildlife Sanctuary provides a haven for various orphaned and injured African wildlife. In January 2011, Brad Pitt and Angelina Jolie chose Naankuse to become a partner of the Shiloh Jolie-Pitt Foundation in honour of their Namibian-born daughter. 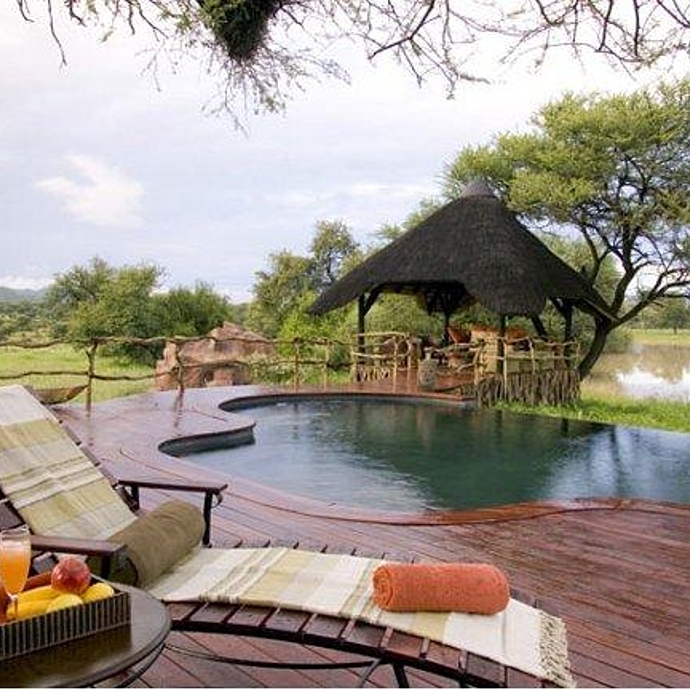 After having drinks at the swimming pool overlooking the African bush, dinner will be enjoyed at the restaurant. After breakfast this morning, attend an animal feeding tour before starting your trip on the C26 from the city, to travel along the Spreetshoogte Pass (D1275) to Sossusvlei. The burnt sand dunes of Sossusvlei are ahead, but first there is the journey to consider and enjoy - traveling is not always about reaching the destination but also about having fun along the way. This is one of Namibia's most scenic routes and at The Spreetshoogte pass you will be met with breath-taking views and a steep descent. From here it is another 130kms to Sesriem. Coming from Sesriem, head south on the C27 until you reach the Hoodia Lodge gate. After arriving at Hoodia in the late afternoon you will be welcomed by the friendly staff, shown to your room, and you will then make your way to the swimming pool area for well-deserved drinks before sunset. Dinner will be served thereafter. 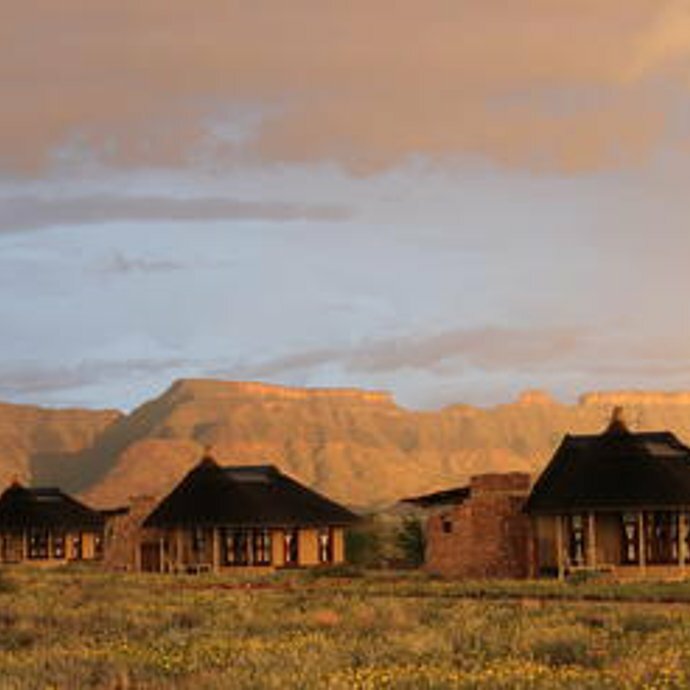 After an early breakfast you will leave for Sossusvlei to spend the day exploring the park. 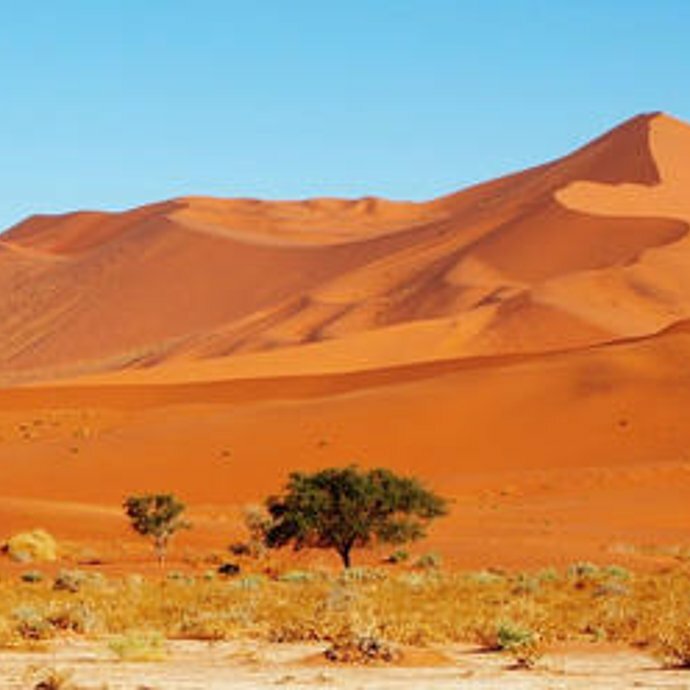 Sossusvlei must be one of the most beautiful places on earth and the dunes in this area are some of the highest in the world, reaching almost 400 meters. Sossusvlei literally translates to ‘dead end’ as it is the place where the dunes come together preventing the Tsauchab River to flow any further, some 60kms east of the Atlantic Ocean. However, due to the dry conditions in the Namib Desert, the river seldom flows this far and the pan remains bone-dry most years. During an exceptional rainy season the Tsauchab fills the pan, drawing visitors from all over the world to witness this spectacular site. When the pan fills it can hold water for up to a year. The dunes provide photographic enthusiasts with beautiful images in the morning and evening light. Despite the harsh desert conditions in the area, one can find a wide variety of plants and animals that have adapted to survive. A picnic lunch will be served between the dunes and the expert guides of Hoodia will make sure that you learn all about the secrets of the desert. 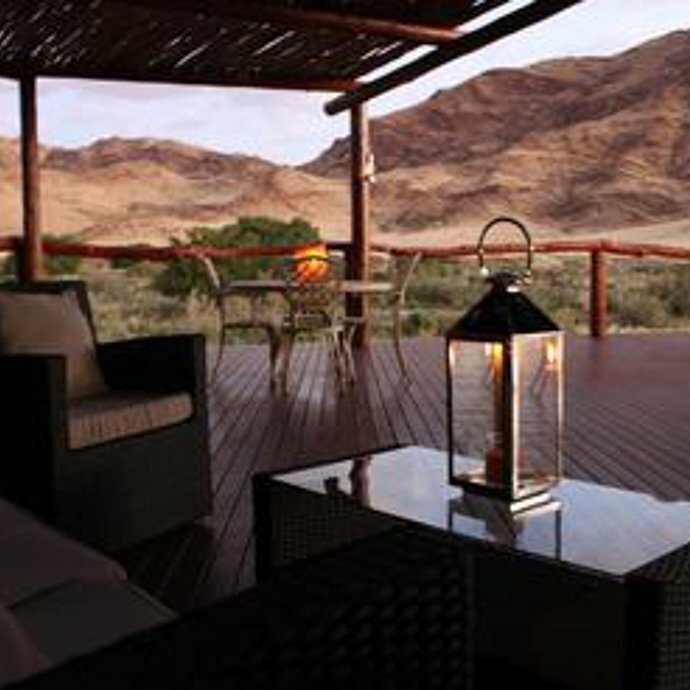 In the late afternoon you will visit the Sesriem Canyon before returning to your lodge. Relax around the swimming pool until sunset, followed by dinner. 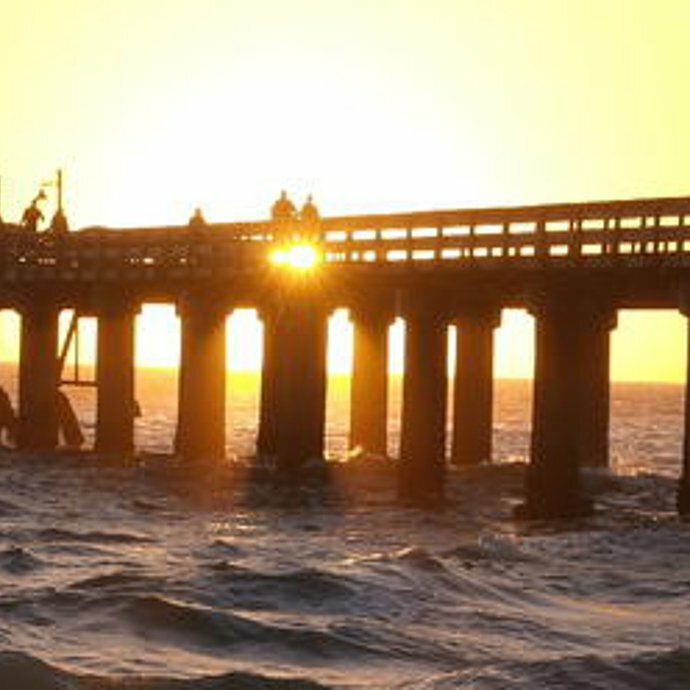 This morning enjoy a last breakfast at Hoodia before starting your journey to Swakopmund. 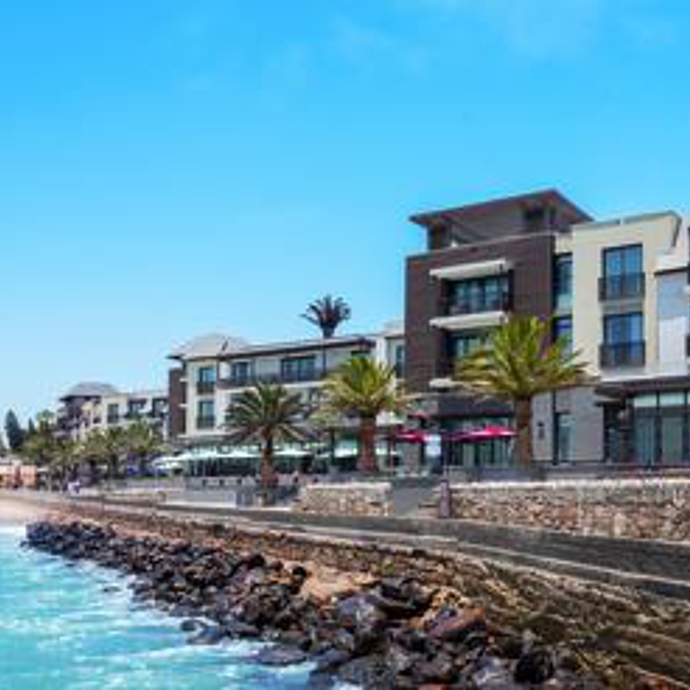 You will then stop at Solitaire's bakery to sample some of their famous apple crumble before continuing to the heart of Swakopmund, where the brand-new Strand Hotel offers stylish and modern accommodation with light and airy rooms, all with sea views. Have dinner tonight at the Brewer & Butcher where you can also sample a variety of local beers for which Namibia is well known. This morning after breakfast start your 5-hour journey to Mowani, located in the heart of Damaraland which is one of the most scenic areas in Namibia. The landscape changes dramatically with endless sandy wastes, that incredibly, are able to sustain small but wide-ranging populations of desert-adapted elephant, black rhino, giraffe, ostrich and springbok. 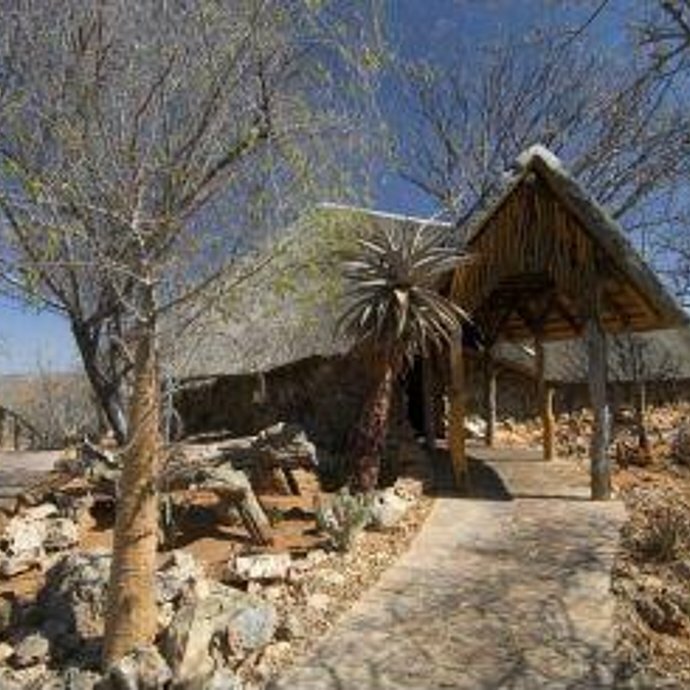 Mowani Mountain Camp is conveniently situated halfway between Swakopmund and Etosha National Park. 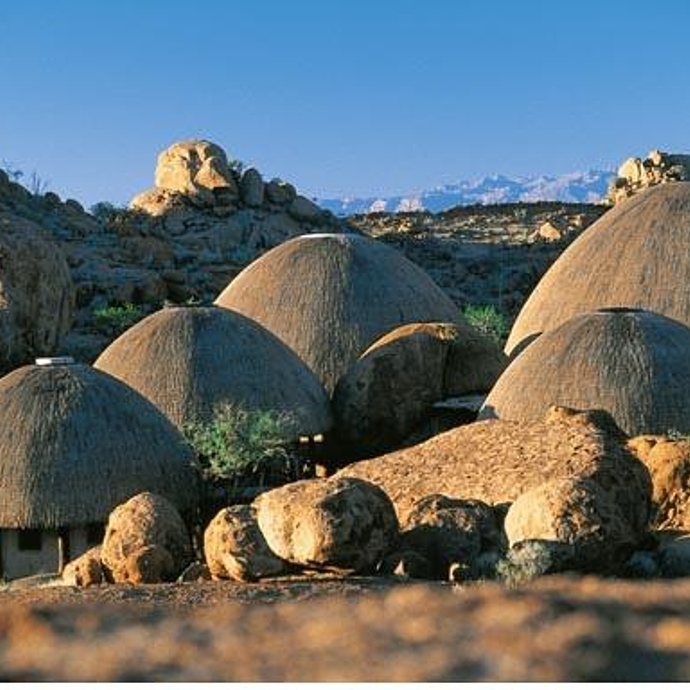 Dwarfed by massive ochre boulders, the camp is absorbed into the landscape making it one with our shared history of life in this prehistoric land. 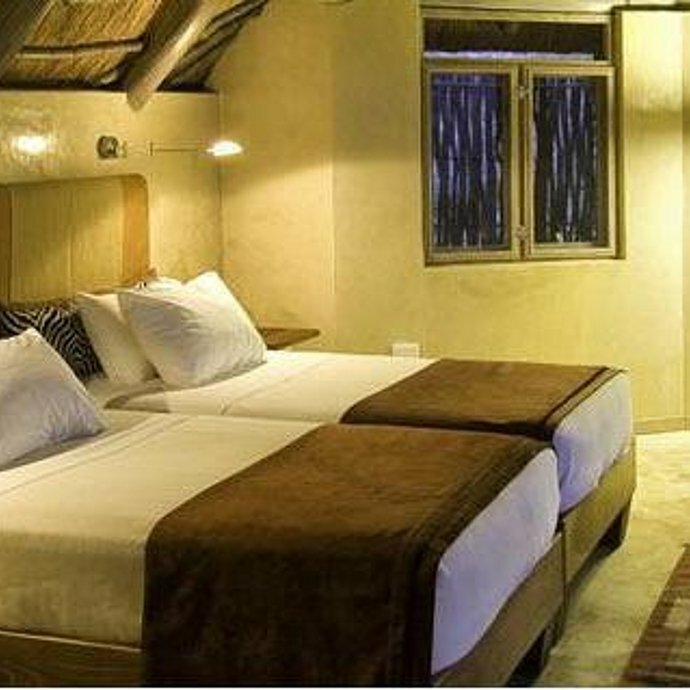 After arriving at Mowani settle into your room and then make your way to the sundowner spot which must be the best in Namibia. Sitting on the rocky outcrop the views are incredible, with spectacular sunsets. 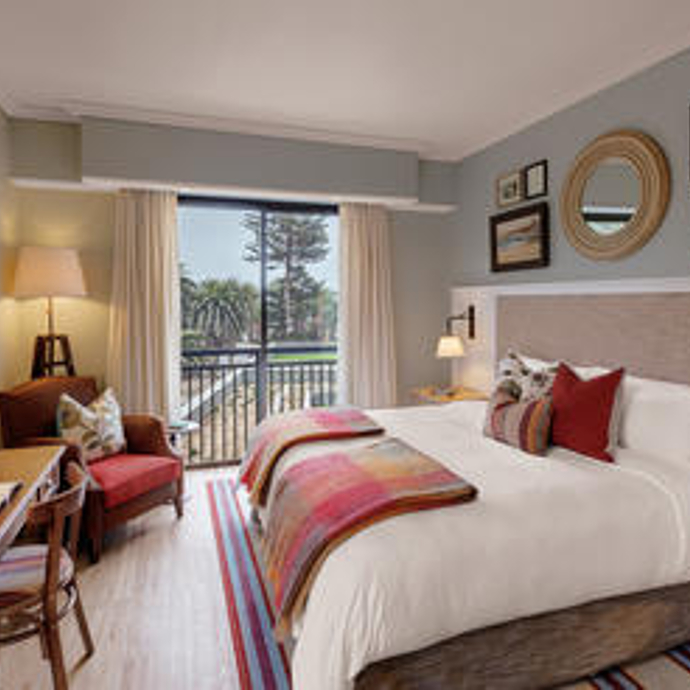 Dinner will be served in the restaurant before heading to your room for a well-deserved rest. After breakfast, climb into an open-air vehicle and experience the rush of Africa. Mowani’s local guides share with their guests an intimate knowledge and respect for the land that they have built up over many lifetimes. With new insight into local traditions, you will come to fully appreciate the geology, botany and wildlife of the area. Local villagers are welcoming and keen to share their experiences. Rare desert adapted elephants will almost certainly be spotted in the riverbed close to your lodge. One of Namibia's most picturesque attractions, the rock engravings at Twyfelfontein, date back between 2 000 to 10 000 years ago and provide wonderful insight into the history of the area and the people that have lived there. You will pay a visit to this World Heritage site before making your way back to the lodge to relax around the pool for the rest of the afternoon until sunset, and then dinner. After breakfast, start your journey to Etosha National Park. This unspoiled, well-loved park striking feature is an immense seasonal salt pan of more than 1 900 square miles set in almost 8 500 square miles of gracious African savannah and dry woodland. This is home to more than 110 species of mammals and reptiles. 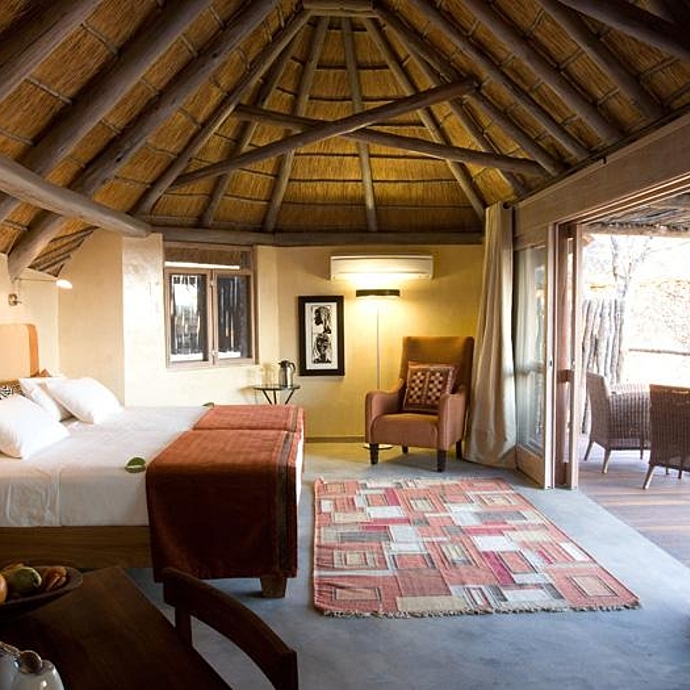 The well-established Ongava Lodge is situated in the privately owned Ongava Game Reserve along the southern boundary of Etosha National Park. 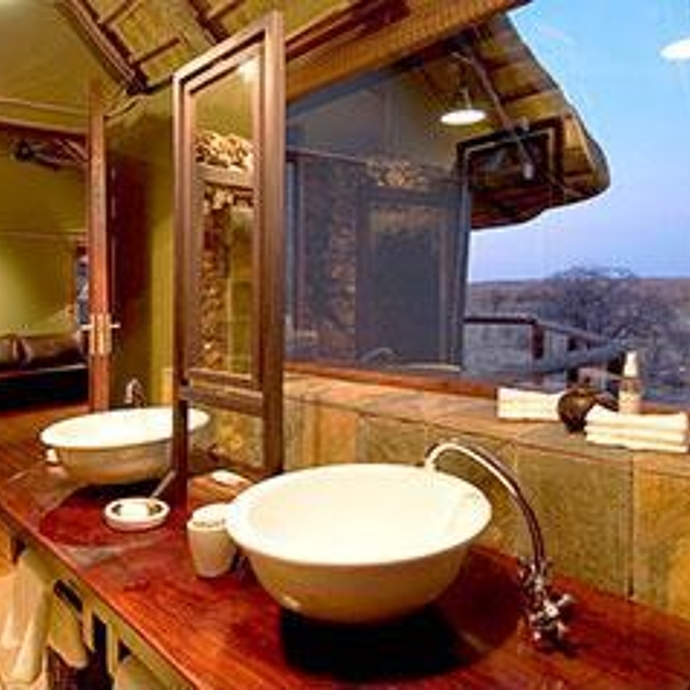 The vantage point is beautiful and overlooks a well-frequented waterhole and the plains beyond. 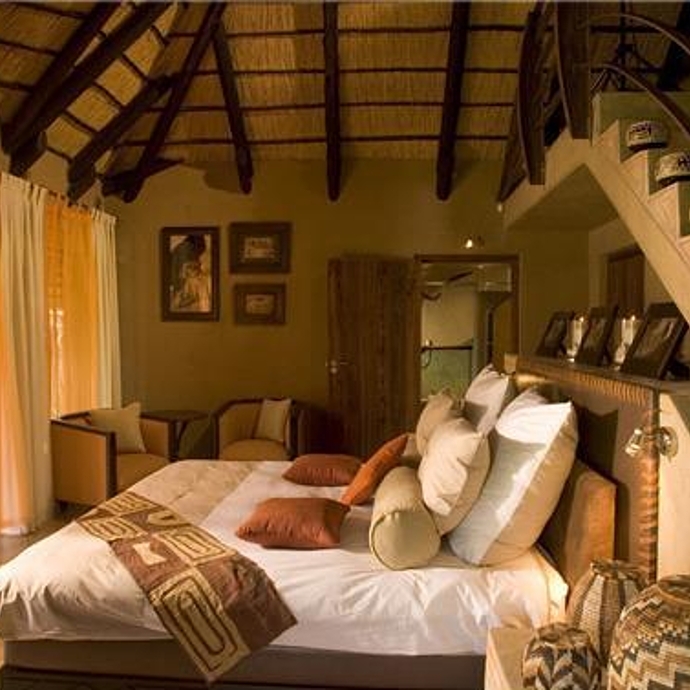 Ongava Lodge offers luxury accommodation in 14 rock-and-thatch en-suite chalets. 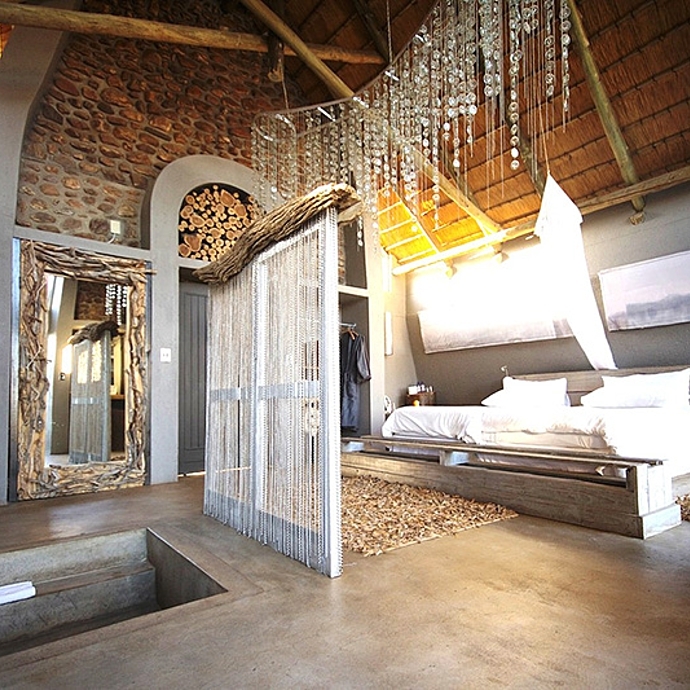 There are impressive views over the camp’s waterhole from the main lounge and dining areas, and there is also an inviting pool to cool off in the heat of the day. 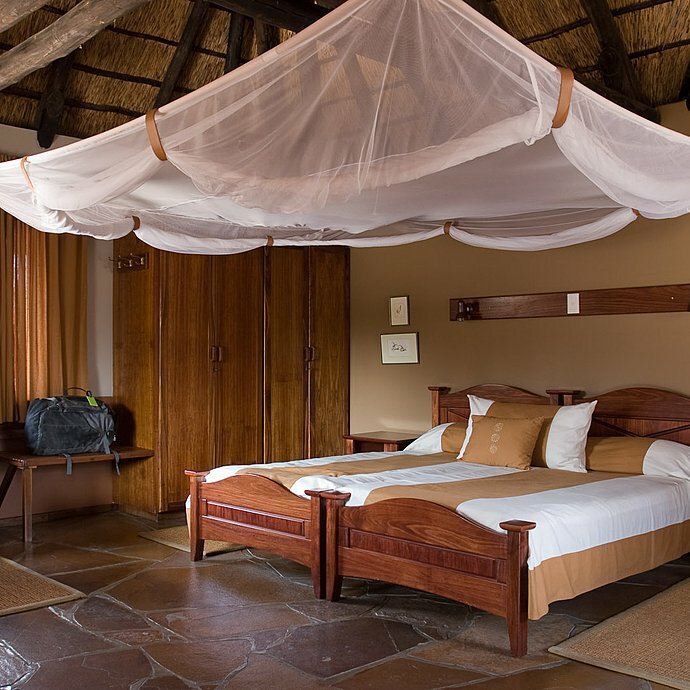 After arriving, settle into your room and then go for a game drive on the Ongava reserve, which is well known for its healthy population of Rhino. 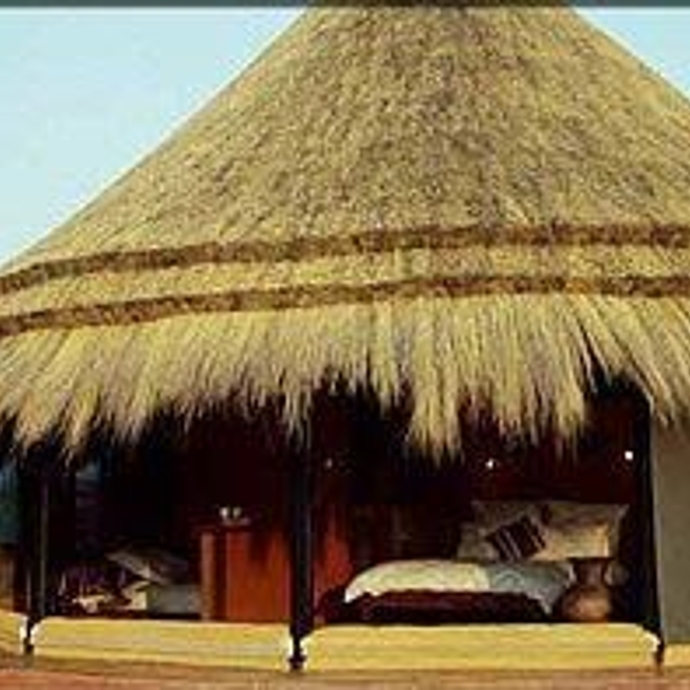 Meals are either served in the main dining area under the thatch or on the dining deck under the stars. Be careful not to bump into one of the many porcupines of Ongava that hang around at nighttime hoping for leftovers from the kitchen. After breakfast, leave for Etosha National Park to explore the waterholes in the west of the park. This park is Namibia’s greatest wildlife sanctuary, home to excellent big game viewing, a 5,000km² salt pan and some of the tallest elephants in Africa. There are 13 waterholes in the western side of Etosha National Park and they offer the best game viewing opportunities in Etosha. Return to your lodge in the late morning to enjoy lunch and a relaxing afternoon around the pool. 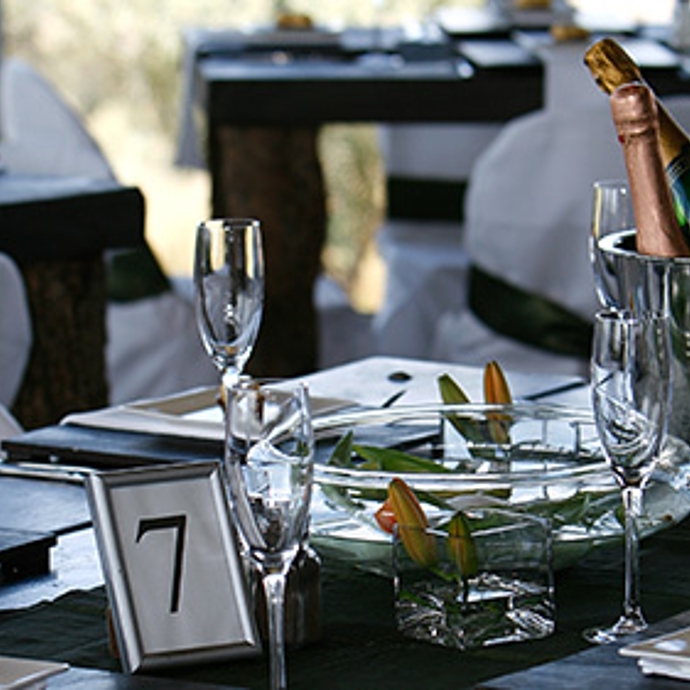 A late afternoon game drive on the Ongava reserve is followed by dinner. Today, make your way slowly through the park to the east whilst viewing game at many of the waterholes along the way. 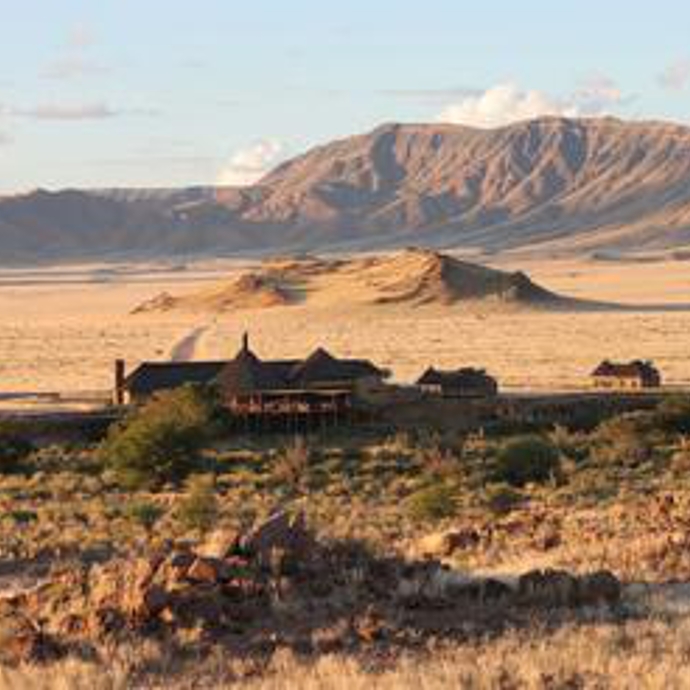 Namutoni camp was originally established as a control post during the mad cow disease (BSE) epidemic of 1897 in Namibia. The fort was built by the German Schutztruppe from 1902-03 and rebuilt in 1906 after the Ovambo tribe destroyed the original building. The fort served as a police post and later as a South African army base. Fort Namutoni was declared a national monument in 1950 and was opened to tourism in 1957. Its close proximity to Fisher's Pan makes Namutoni a hotspot for birders. 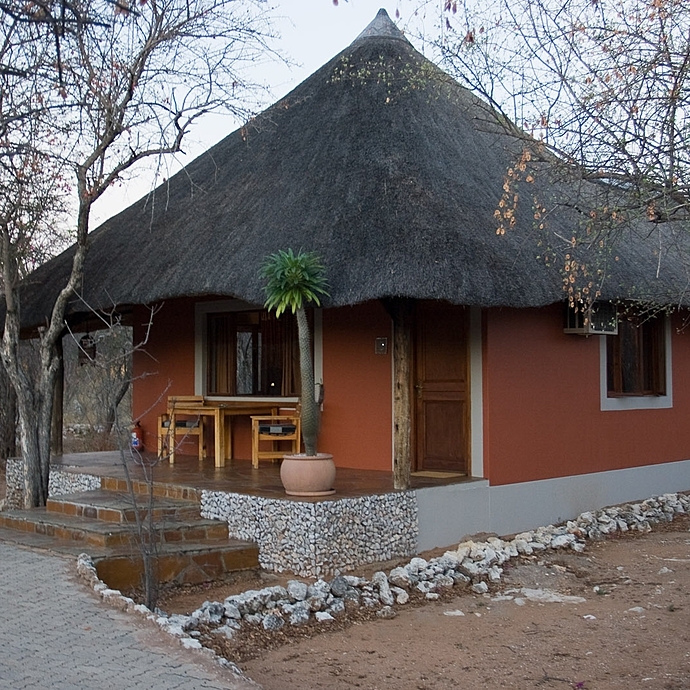 Your accommodation is Mushara Lodge, located just 8 km from the Von Lindequist Gate. One of Mushara's prominent features is its large bright blue swimming pool, surrounded by green lawns which are kept perfectly manicured by visiting local wildlife. Sunset drinks to be enjoyed, followed by dinner. After breakfast, leave for a game drive in Etosha to explore the eastern part of the reserve. Make sure you take water and snacks, then just pull up at a waterhole and wait! You can miss so much by just driving around to too many different spots. 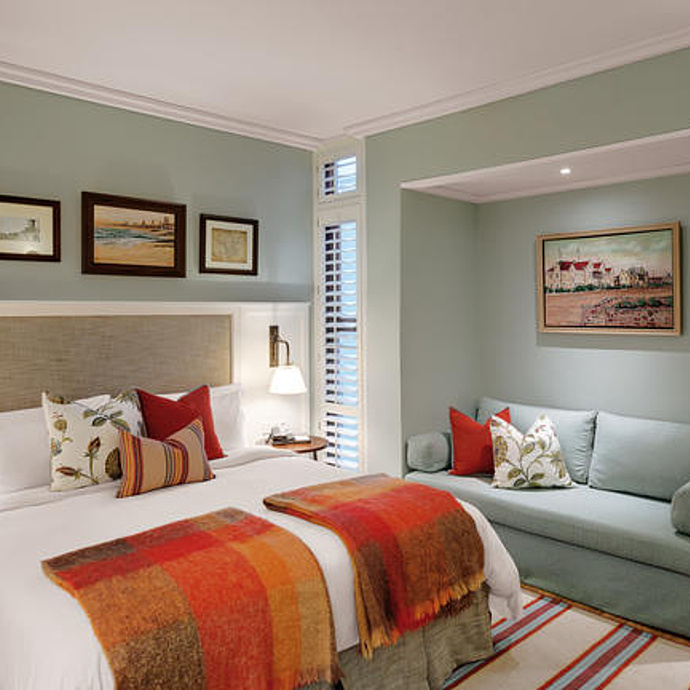 Return to your lodge at lunchtime and the rest of the day can be spent relaxing around the pool followed by an optional game drive in Etosha before sunset. Drinks followed by dinner on the terrace under an African starry sky before going to your room. After breakfast, the road takes you south to the private Okonjima Nature Reserve, over 200 square kilometres nestled amongst the imposing Omboroko Mountains. 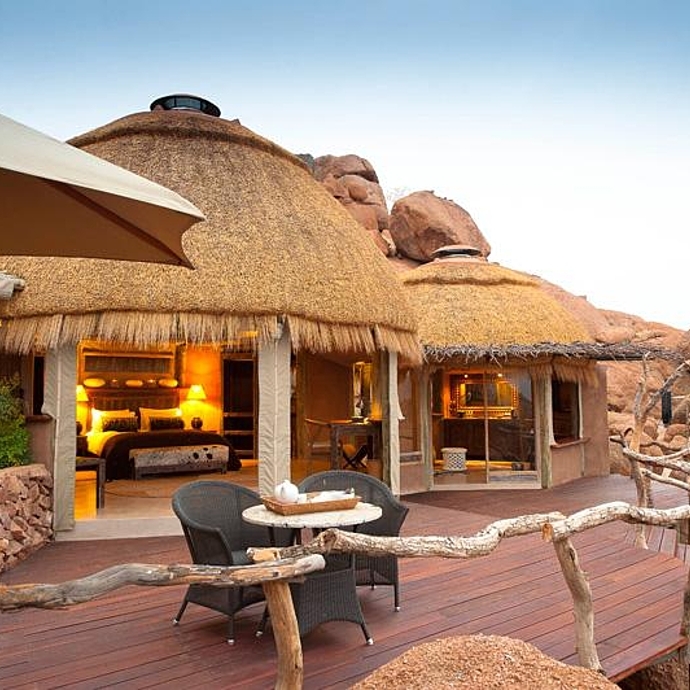 Okonjima boasts some of the most exceptional accommodation in Namibia, but the unequivocal highlights are the cheetah and leopard safaris. There are unlimited opportunities to see these beautiful carnivores in their natural environment within the huge Okonjima Nature Reserve, as well as to witness the critical conservation work undertaken by the AfriCat Foundation, which researches and rehabilitates cheetahs, wild dogs, and hyaenas. 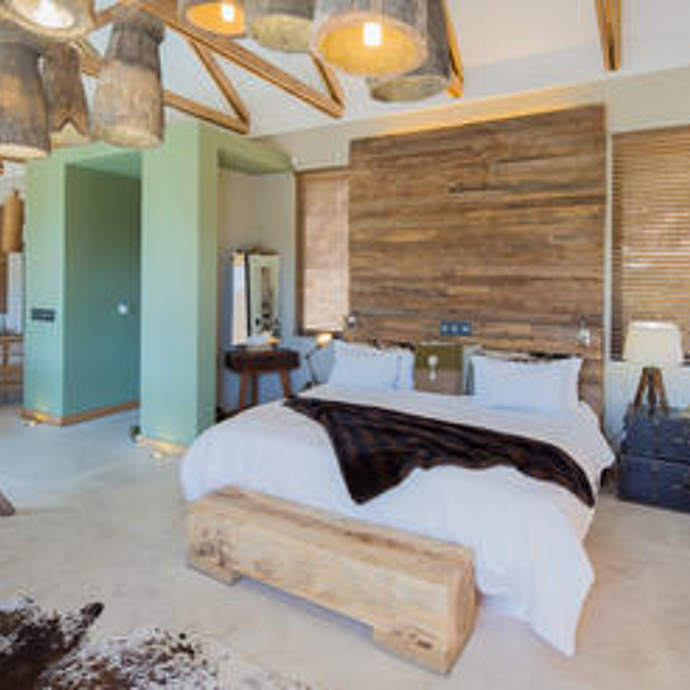 Settle in your room before going on a late afternoon game drive, followed by dinner. Mornings begin early with tracking cheetah on foot in the Okonjima Nature Reserve alongside experienced guides. Their Rescue and Release Programme at AfriCat’s Carnivore Care Centre has been developed over twenty years, thanks to their mutual relationship with the nearby farming community. Some of the carnivores that are rescued, are young and fit and wild enough to be part of the rehabilitation project where they will be released within the Okonjima Nature Reserve. In true African style, days at Okonjima end with game drives through the acacia thicket in search of elusive leopard followed by a sundowner. Leopards are frequently seen during a safari in the Okonjima Nature Reserve, and are radio-tracked for their protection and as part of a density research project through AfriCat’s conservation initiatives – they roam freely and hunt within the 20 000-ha/200km2 nature reserve. 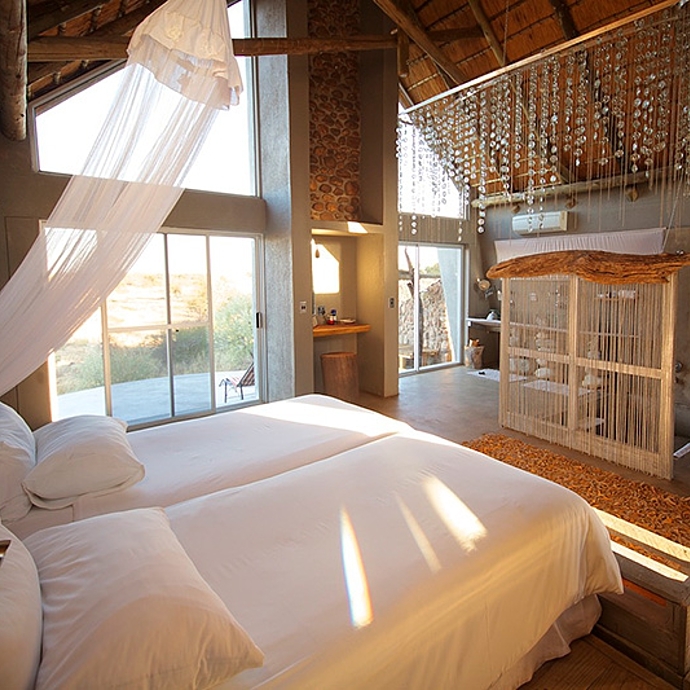 Whether you hike, bike or are an avid bird watcher, there are endless ways to spend this day at Okonjima. 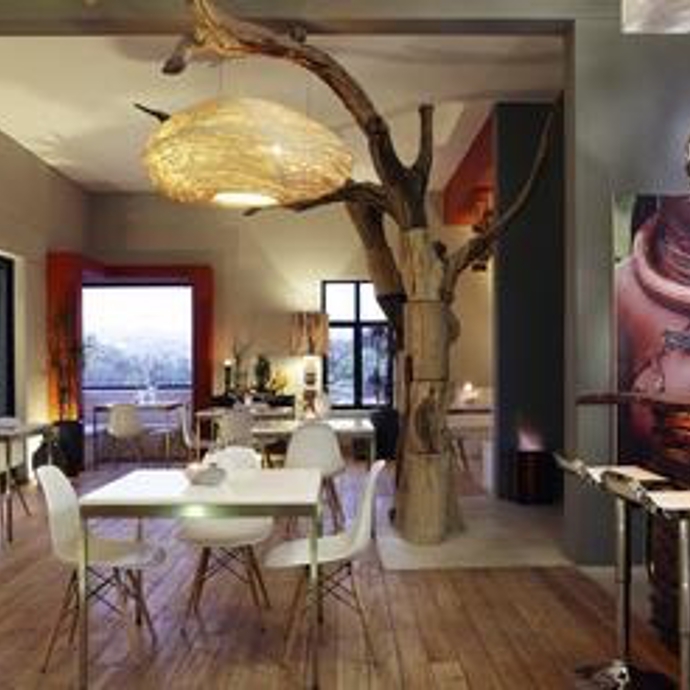 After breakfast, you will cross through an ever-changing landscape on your way back to civilisation, Windhoek. 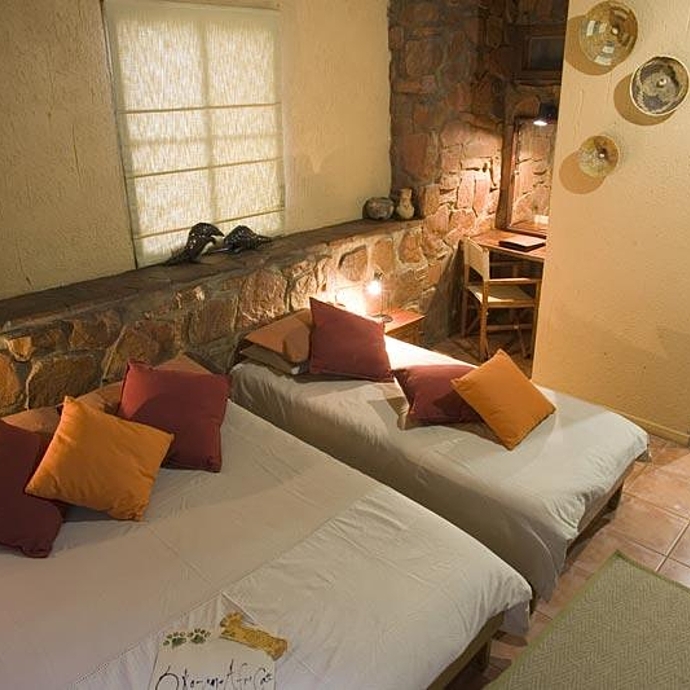 Your last nights accommodation is at The Olive Exclusive, a small upmarket boutique hotel situated close to Windhoek city centre in a quiet, peaceful area. 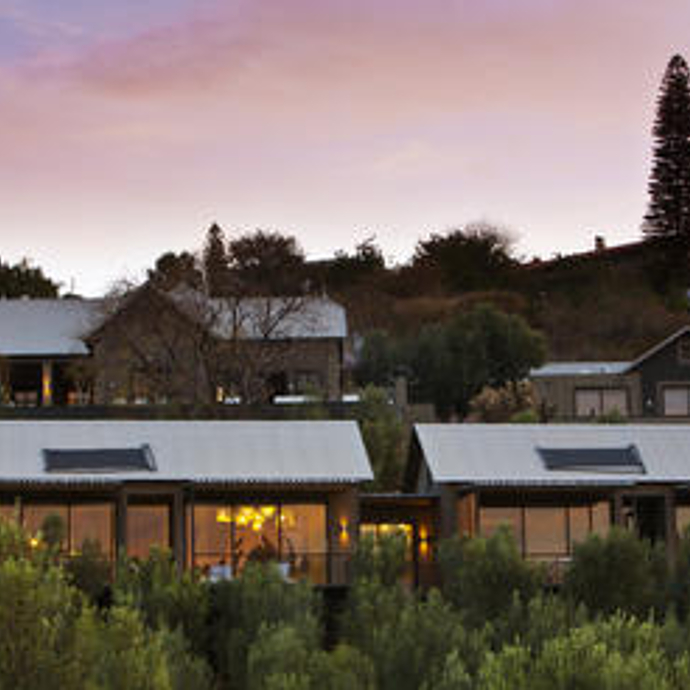 The Olive Exclusive's Premier Suite has a front-row position overlooking the olive grove and valley beyond, and tall glass windows make the most of the views. Doors lead to a large deck with a plunge pool, sun loungers and additional seating. Tonight have dinner at Joe's Beerhouse located close to your hotel – this eatery is where you can enjoy a variety of different meat dishes which is an essential part of the Namibian experience. 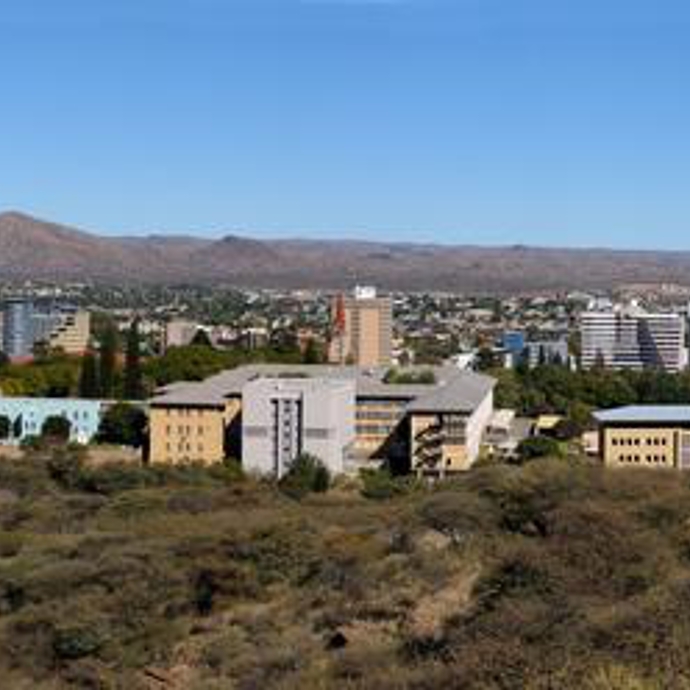 On your last day explore Windhoek, which was the former stronghold of the main opposition to German colonisation. A modern city at an altitude of 1,657m, its distinct colonial architecture shows an overwhelming German influence. The oldest building, The Alte Feste, houses two excellent museums namely the State Museum and the Owela Museum. There will be time for some souvenir shopping and a last lunch at the Heinitzburg Castle before heading out this afternoon to Hosea Kutako International Airport for your homebound flight.